The newest of the Mixed Investment sectors is six years old, but how is the space as a whole looking? Over the past few years, multi-asset funds have been possibly the most talked about investment product. A way to combine a multitude of assets within one fund at a lower cost, they are an easy route for investors to diversify. The Mixed Investment sectors were revamped back in 2011 after originally being called Cautious, Balanced and Active, based on investor types. The Mixed Investment 0-35 per cent Shares sector is the newcomer to the bunch, after being created in 2011 for the extra cautious investor. They are now known as Mixed Investment 0-35 per cent Shares, Mixed Investment 20-60 per cent Shares (formerly known as the Cautious sector), Mixed Investment 40-85 per cent Shares (Balanced), and the Flexible Investment sector (Active Managed). The Investment Association stipulates funds in the sector must have a range of different investments, with up to 35 per cent invested in equities. At least 45 per cent of a fund must be in investment grade fixed income investments and/or cash. Cash can include current account cash, short-term fixed income investments and certificates of deposit. There is no minimum equity requirement, so there may be funds that do not own any equity. A minimum 80 per cent of a fund should be in established market currencies (these include the dollar, sterling and euro), and 40 per cent must be in sterling. This includes assets hedged back to sterling. At any given time, funds within this space can also meet requirements of different sectors – particularly the Flexible Investment one. As a consequence, a fund will remain in its elected sector, subject to complying with IA stipulations. The Mixed Investment space has seen positive flows into funds over the past few years as the popularity of multi-asset increases. The latest IA figures show funds under management in the 0-35 per cent Shares sector sit at £9.1bn, relatively small compared with £53.6bn in the 20-60 per cent field. The sector has seen continuous positive flows in the past 12 months, the highest being in September last year when it saw £150m of investor money injected into it. 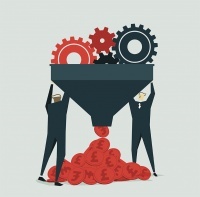 In July, investors pumped £21.9m into the space – £4.2m from Isa sales on the five platforms the IA uses for its data (Aegon, Fidelity, Hargreaves Lansdown, Old Mutual Wealth and Transact). As at time of writing, the sector is home to just 56 funds from 35 fund providers. While the Mixed Investment sectors were planned for January 2012, the 0-35 per cent Shares space was delayed for a month due to low demand and take-up from fund managers. The sector is made up of relatively small funds, with just one hitting the £1bn mark, the £1.2bn L&G Mixed Investment 0-35 per cent fund, managed by Bruce White, Justin Onuekwusi and Chris Teschmacher, which has just 10 per cent in equities but 43.1 per cent in global fixed interest, according to FE data. The next largest is the £910m Jupiter Distribution fund, managed by Alastair Gunn and Rhys Petheram. 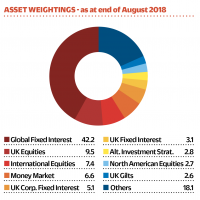 Its equity allocation sits at 28.6 per cent currently, with 39.1 per cent in global bonds. 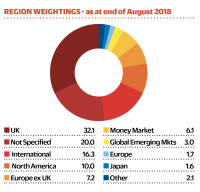 According to FE data, as of the end of August, the average performance for funds in the sector saw a 21.83 per cent return over five years, 14.53 per cent over three years and just 0.66 per cent over the past 12 months. 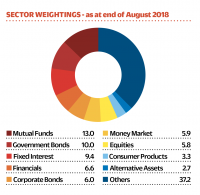 Performance over the past year will be down to dull returns seen in the bond market, given funds must hold a minimum 45 per cent in fixed income. With Brexit looming, investors are understandably going to remain cautious as we head closer to March 2019. Elsewhere in the world, the US Federal Reserve again raised rates last week, albeit unsurprisingly, to a 2 per cent to 2.25 per cent range – where it last was in April 2008. But a huge benefit of the Mixed Investment sectors is the fact that investors are getting fully diversified funds with access to more than just simply equities or bonds. However, it should be kept in mind that in the 0-35 per cent Shares sector there is no minimum equity requirement so funds within the space could be 100 per cent fixed income and theoretically sit within any of the bond sectors – although something like this would be rare. 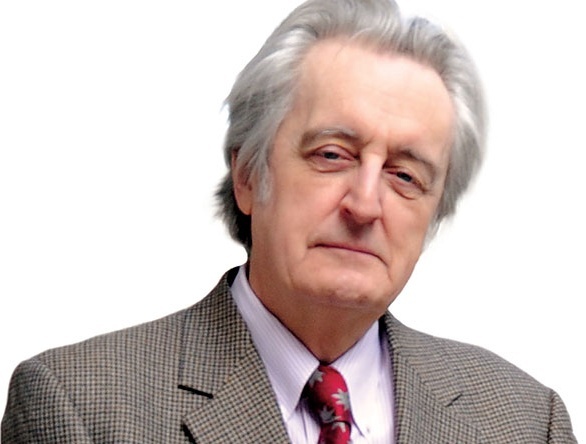 The platform puzzle: Are in-house funds and models a conflict?